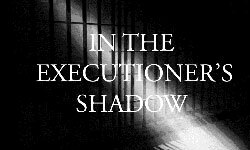 October 19, 2015 With the suspension of executions in Ohio, the New Your Times has a report on the Ohio suspension of executions until at least 2017. Ohio now joins Oklahoma and Arkansas as states with at least a de facto moritorium. The majority of the 50 states now either have already abolished the death penalty, have an official moratorium, like Oregon, or a de facto moritorium.